Thank you for your active involvement in the Center for Earth & Space Science Education. In this quarterly newsletter, we will talk about upcoming exhibits and events, new shows, and our extended holiday schedule. How did life on Earth begin? Come join us on a journey through billions of years to the origins of the elements themselves and discover how it all came together to create the world we know today. Narrated by Jodie Foster. You've seen their shells on the beach. You've eaten them "on the half-shell." But what do you really know about bivalve mollusks? "Science on the Half Shell" is an exhibit featuring video travelogues, hands-on interactives, and a large array of specimens to examine. Learn how this interesting group of organisms can do just about everything but fly! Interested in Mayan culture? So are we! This December, The Center for Earth & Space Science Education is proud to present "Maya: Beginning to End," a new exhibit about the Maya civilization. Come learn about the civilization that fully developed advances such as writing and epigraphy, and even play with their infamous calendar. With the "Maya: Beginning to End" exhibit, we are also proud to offer our newest planetarium show, "Tales of the Maya Skies." Produced by Chabot Space & Science Center, "Tales of the Maya Skies" immerses you in Mayan astronomy, art, and culture. Through its description of the Maya's accurate astronomical achievements, learn how astronomy connects the Maya (and you) to the Universe. The exhibit will be open early December, and the show is available now. Both will only be available until January 27th, so come see them while you can! Times for the show are available online, and tickets can be purchased online or at the ticket counter when you arrive. New Show: "Star of the Magi"
This holiday season the Center for Earth & Space Science Education is happy to present a new Christmas show - "Star of the Magi." 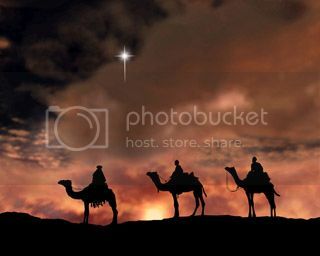 Join the three Magi in their journey to find the newborn King. But who were the Magi? What exactly was the Star they followed? And can the Star be explained by the principles of contemporary astronomy? We'll answer these questions and more. Starting December 10th and only playing through December 31st. Don't miss out! Looking for some fun? For your convenience, this December, The Center for Earth & Space Science Education is open even longer! Come explore our Maya exhibit and see a public show on our 40-foot dome! This schedule is for a limited time only, beginning December 10th and continuing through December 31st. Our state-of-the-art domed theater seats up to 85, so bring your family and friends! For more information on specific show times and ticket purchase, visit our website.